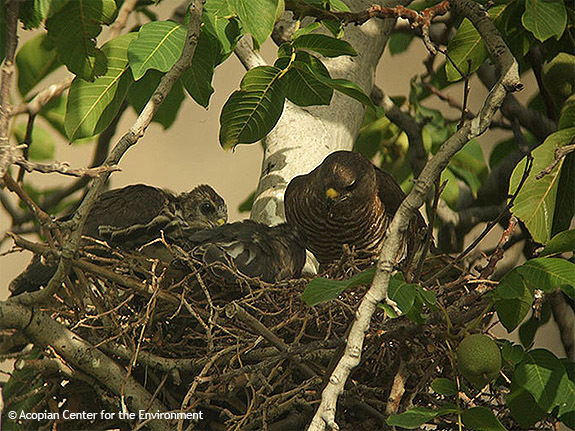 Acopian Center for the Environment (AUA) in cooperation with Acopian Center for the Conservation Learning (Hawk Mountain Sanctuary) in 2009 there was conducted a pilot nest survey of Levant Sparrowhawk - one of the least known Western Palearctic raptors. 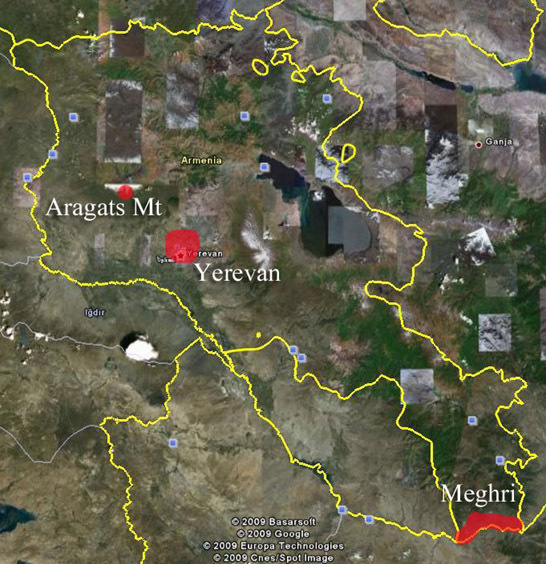 Several long term trips were organized to Aragats Mt and Meghri area, Yerevan city parks were surveyed as well on a frequent basis. Field trips took substantial part of the project during April – August. The surveys have successfully resulted in overall 17 breeding sites/pairs. 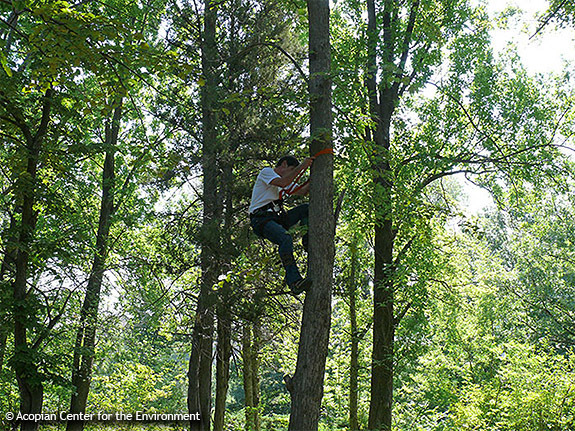 During the surveys a nest searching technique was developed and tested as most suitable from few other methods tried. 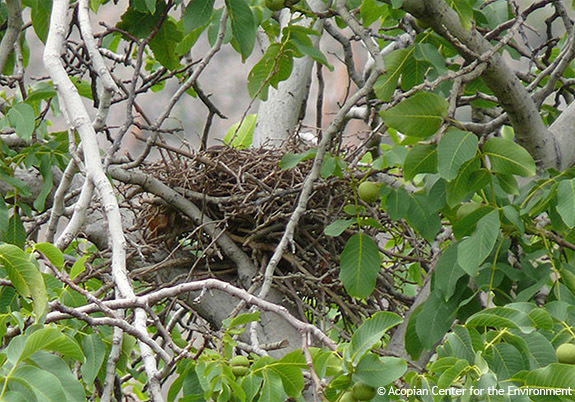 For all of the surveyed sites and nests there were recorded various parameters, such as nesting site GIS data, habitat description, behavior of breeding birds, nestlings and fledglings, interaction with other species and various other ecological information. Data on food was collected and taken few video footages and a number of photographs. 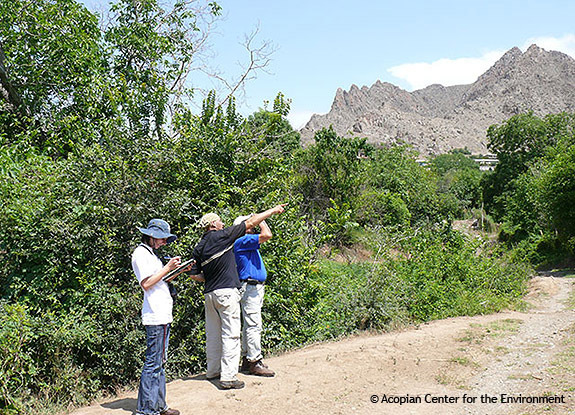 The information collected in 2009 helped to achieve initial objectives of the pilot project and will significantly contribute to the future surveys of the Levant Sparrowhawk in Armenia.